The French Writer in Residence at Randell Cottage from October 2010 is Yann Apperry. Yann is a bilingual French-American who writes in both languages and translates his own texts with elegance and finesse. He is an accomplished novelist, playwright, poet and librettist. In France, he is considered one of the most talented writers of the young generation. 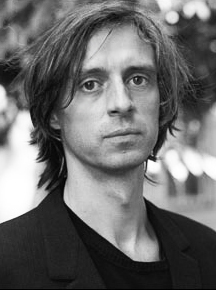 Born in 1972, Yann published his first novel Qui Vive at the age of 25 and was immediately acclaimed by critics and awarded the “Prix Bretagne. During the same year, he was laureate of Fondation Hachette and writer in residence at Villa Médicis in Rome (1997-98), which is one of the most prestigious residencies for French artists abroad. He then spent a few months at Villa Kujojama, in Kyoto, in 2004. In 2000, he was awarded the “Prix Médicis” for Diabolus in Musica and the “Prix Goncourt des Lycéens” in 2003 for Farrago – two major French literary prizes. Yann Apperry’s project during his stay at Randell Cottage involves music and poetry. This entry was posted in Writers and tagged Apperry, French. Bookmark the permalink.